The plane type is Boeing 777 = triple 7 = 3s 7 , add 0, u get 370 = MH 370. 7+7+7=21, plus 2, you get 23, then, if you add a 9, you get 239, which is the number of passengers/crew on this ill-fated flight. The number 239 is the country code for Sao Tome Island, which is directly west of the Huvadhoo Atoll, the largest Atoll of the Maldives, located 239 miles south of Male. The Mysterious Malaysian Airlines flight MH370, a Boeing 777-200 aircraft that has gone missing by the time it flew from Kuala Lumpur to Beijing. The Malaysian Prime Minister had also confirmed that the Malaysia Airlines plane had crashed in a remote part of the southern Indian Ocean. Cyber Criminals are known to take advantage of major news stories or events where there is a high level of public interest and now Scammers are also targeting tragedy of MH370 to trap innocent Internet users. Just a few days before we warned you about a Facebook malware campaign claimed that the missing Malaysian Airlines 'MH370 has been spotted in the Bermuda Triangle' with its passengers still alive and invites users to click a link to view breaking news video footage. This week, Security researchers at FireEye have revealed about various ongoing spear phishing and malware attacks by some advanced persistent threat (APT) attackers. 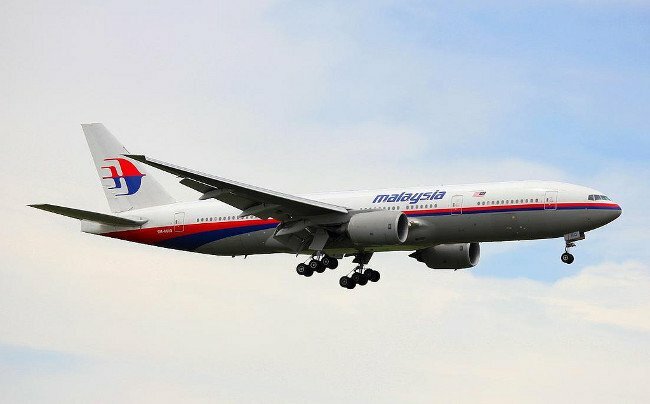 According to the researchers, the Chinese hacking group called 'admin@338', specialized in cyber espionage attacks had sent multiple MH370-themed spear phishing emails to the government officials in Asia-Pacific, with an attachment referring to the missing Malaysian flight MH370. USA today reporter on CNN's Erin Burnett: "The Malaysian investigation is now focused solely on the pilot, Captain Zaharie Ahmed Shaw". Of course, CNN, in the next moment, marches out their slew of accident theory proponents who are now grasping for straws to save face even as the evidence mounts. Then Mary Shiavo attempts to both save face and advance whatever agenda it may be that she has by accusing the investigators of having a blind focus...really?? and she knows so much about the investigation and how it's being conducted. The agendas at the mainstream news org. are transparent to a fault. Fox has been trying to tell America that the plane has been commandeered by terrorists and flown to Pakistan (even marching out high ranking Generals who spout this crap) to be used later against western nations, while CNN clings to the accident theory with all it's might and stupidity. And, I must say, many of CNN's 'accident' (i.e. fire.electrical,hypoxia etc...) people are pilots. This is great, as i believe they are the most qualified people to put forth likely scenarios. But, when these explanations make less and less sense, with the revelation of more and more info and data, one has to wonder just why it is that they are so wedded to the points of view?? I have just put the following on UK Business forums. The link is at the end. 1- All communication and ID signals went off, which would have been possible only manually, by human hands. 2- After communication and ID signals went off, the plane was flying in a manner to avoid detection. 3- during the last hour of the flight, the plane was autopilot driven. These three points prove the plane was under manual control, driven by a pilot, until left to the autopilot. 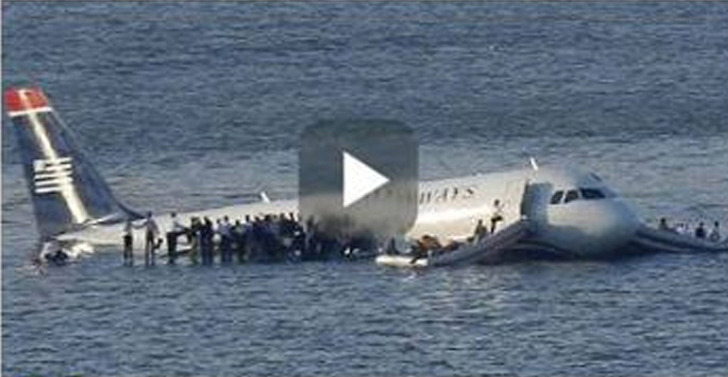 this means the plane was in perfect mechanical order until the moment flew or crashed into the sea. In other words the plane was driven to that area under human controls, but why? Because something like a ship or submarine was waiting for them at the area.This implies that the plane was hijacked and flown to that area because a ship or a submarine was waiting for it. 1- to kidnap a VIP or VIPs. Who were the Iranian passengers? were they ordinary people or nuclear scientists? 2- Air Piracy. Did the flight carry a big cargo of gold or diamond or hard currency? Passenger identity checks, in this case, don't prove anything. Let me to tell you the story of two Israeli spies. The first one was an Israely penetrated into Egyptian Army as an army officer. He was promoted in the Egyptian Army as a military expert with a licence to see all secrets of Egyptian army. He was the eyes of Israeli secret service in the heart of Egytian Army for years. After 6 days war between Arabs and Israel, he left safe and sound. Another one exactly like this one penetrated into Syrian army. But this one caught after years of spying and executed. So the ID of the passengers don't prove if all passengers were thew same people as identified by their ID of each or known by other people. But why the plane put on the autopilot on the last hour? Could this be because the pilots parached down to a waiting submarine or ship with their accomplices and the targets, which they were after? Or was it easier to land it on the sea? Were the pilots real Malaysian pilots or could they have been disguised as the two Malaysian pilots? So difinately it was a hijack. If the target was a VIP or VIP and the plane autopilot driven to land on the sea, if not all some passengers could have been riscued. If the pilots with their supporters and target/s parachuted down the rest of the passengers would have ended in the sea. If it was air piracy, the same fate would have faced all passengers. Air piracy of this sort is possible when the loot is worthwhile and have techincla know how. Londoner wrote: 2- Air Piracy. Did the flight carry a big cargo of gold or diamond or hard currency? Analysis So, the mysterious case of the missing flight MH370. We've mainly stayed out of this - apart from noting that no, the jet wasn't hackjacked using a mobile phone. But naturally we've been poking around a bit to see what we could find out, and it's not completely nothing. Here's what we bring to the party. Some of us know a bit about aviation, occasionally to the extent of having held pilot's licences. Some of us know a bit about the theory of navigation. Some of us know a bit about satellites and wireless data generally. And we happen to know an experienced airline pilot who has flown Boeing 777s. So we've been able to drill through a lot of misleading reports about "satellite tracking" and extended flight below 5,000 feet and that sort of thing. Flight MH370 takes off from Kuala Lumpur headed for Beijing. Scheduled landing time was 0630, approximately 5 hours 50 minutes later. Our man adds: "IF they were both in on some type of plan they could have filled it up to whatever level of fuel they wanted, all the way to maximum tanks fuel which could give them 13-14 hours endurance at the limit". We'd note, though, that if the plane had taken on an unusually large amount of extra fuel the fact would probably have leaked to the media by now, and the Malaysian government would be speaking of different search areas than it is doing. Some Far Eastern reports suggest a full 8 hours' worth or more of fuel was loaded (as opposed to 7 as most of the media are suggesting) and this would be cautious but normal conduct by the captain. As MH370 crosses the Malaysian coast headed out over the South China Sea, the final Aircraft Condition Monitoring System (ACMS) report is transmitted from the plane via the Aircraft Communications Addressing and Reporting System (ACARS) data link. This is an automated report containing a variety of information from systems aboard the plane, relayed to various destinations on the ground via VHF radio or (when out of range, as when over the sea) by satellite communications. The data reporting - and indeed the aircraft's satellite communications for all purposes - was disabled via processes that would have required navigating through some menus on the flight deck and selecting options on a keypad. Most 777 pilots would be able to do this, much though it isn't something they would ever normally do. However the ACARS satellite communications equipment was not, in fact, completely disabled. The plane's satellite transmitter continued to automatically send short radio "blips" each hour. These contained no data as such: the purpose of the transmissions was to inform the satellite up above that there was an active transmitter there which might send a message at some point. The satellite would thus know to keep one of its receiving assemblies aligned at a suitable angle. It would be possible to turn off this transmission also, but that would mean getting into an electronics bay below the cockpit. Our pilot source didn't even know that such transmissions took place until all this happened, though he thought that if he had known he could get into the bay via a locked floor hatch (actually in the forward galley on the 777s he had flown) and cut power altogether to the satcomms equipment. He adds that if someone other than the pilots gained access to the electronics bay and interfered with comms kit, alarms and notifications would have appeared on the flight deck, so it's all but certain that the pilots were involved in the process - whether under coercion or not. As the aircraft is handing over from Malaysian to Vietnamese traffic control, the final voice transmission is received in Malaysia - apparently sent by the co-pilot - saying that all is well and "good night". The flight never contacts Vietnamese air controllers, and at the same time the aircraft's secondary-radar transponder is switched off. Background: Most aircraft are fitted with secondary-radar transponders which, when they detect the emissions from an air-traffic radar on the ground, send a response signal which includes a "squawk" code. The controller sees on his or her screen not only a dot showing the plane's location but also the identifying code, greatly simplifying his or her task. Without benefit of transponders, civilian air traffic radars are essentially useless, especially at long ranges. MH370 thus disappeared from civilian ATC screens at this point. The military radars apparently detected various changes in height, but it should be noted that the ability of a long-range search radar to tell what height contacts are at is usually pretty poor. Other strange height data have supposedly been established from early ACMS engine data reports, but these aren't being given a lot of credence either. Malaysian military radar loses contact with flight MH370 over the Andaman Sea, headed outbound in the direction of the Indian Ocean. The extent and effectiveness of a country's air-defence radar coverage is normally a military secret, so other countries in the region are naturally reticent about whether they did (or could) detect the rogue airliner at any stage. So the last publicly known position of MH370 is when the Malaysian air force lost it. The final blip is received from MH370's satcomms equipment, indicating that the plane's systems were powered down within one hour after that point. This could be because it crashed, or (as our 777 driver points out) because the plane then landed and was shut down completely to "batteries off" by the pilots. It might, indeed, already have been on the ground but not yet shut down when the last satcomms blip (or even maybe the last couple of blips, say) were sent. This final blip was then used to generate the two arcs along which the search for the missing plane is now focused. One is far out in the Indian Ocean west of Australia (though this arc does include the possibility that the plane circled round to land/crash in Indonesia). The northern arc as specified by the Malaysian authorities (with help from British satcomms firm Inmarsat) runs from the Central Asian 'Stans down across the wilderness of Western China (including Tibet) and then along the Himalayas and down to the borderlands where Burma, Laos, Thailand and Vietnam come together with China - the so-called "Golden Triangle" where around half the world's heroin comes from. Much of the area, though nominally under the control of the respective national governments, is actually a conflict zone dominated by warlords, rebels, narco-trafficking gangs or combinations of all three. One could say the same things of the 'Stans (which make up much of the "Golden Crescent" where most of the rest of the world's heroin comes from) but unlike the Triangle the area around Afghanistan is under heavy US military aerial radar surveillance: most probably including airborne radar watch by AWACS planes and/or E-2 Hawkeyes operating from US carriers offshore. If MH370 had made it that far, it would probably have found itself being investigated by US fighters. So the Malaysian authorities' arcs seem reasonable enough, given that they seem confident the plane did not return to the region it departed from (perhaps having received some co-operation on military radar logs from other nations out of the public eye). And that's most of what we know. We can add that the arcs appear as lines on a large-scale map, but in reality a line-of-position generated like this will not be exact. Further, the plane could still have carried on flying for up to an hour after the final blip was sent - so it could be hundreds of miles off the arc in any direction. The searchers have two immensely long, wide strips to cover - not lines. Down low it would burn fuel at the same rate (ish) so could stay airborne for a similar period of time but could only fly at about 220kts (faster would incur a great fuel penalty) giving a range from last known position in the order of 1200NM. That's why we fly them at [37,000 feet]! In other words the jet could not have made it onto the arcs where the last satellite blip came from, had it been at low level for any great length of time. We often carry lots of cash ... not every country has the capacity to produce its own banknotes for example. And gold too on occasion. The captain is always notified of such special loads (along with any dangerous goods, munitions of war, firearms, etc) on what is called a NOTOC - a bit of paper detailing such a load and where it is in the holds. Again, it seems likely that if any such load had been aboard the plane, the fact would have been revealed by now. On the other hand, transfers (or failed transfers, or disappearances) of significant amounts of gold or currency reserves can have serious effects on national markets and economies: there could be good reasons for a government or governments to keep such a loss out of the media for as long as possible. And the fact of such a cargo being on a particular flight is one of the relatively few things that the aviation industry actually tries properly hard to keep secret in the first place. So it's an outside possibility, decreasing as time goes by with no such news. Other than that, insight is hard to come by. But one can say that the whole operation involved a lot of expertise and effort: someone seems likely to have had a very good reason to carry it out. It's possible to say that along the Chinese arc among the Tibetan rebels and the warlords of the Triangle there are a lot of situations going on which might drive people to do bad or desperate things. That's not so much the case with the empty Indian Ocean west of the Australian continental shelf. 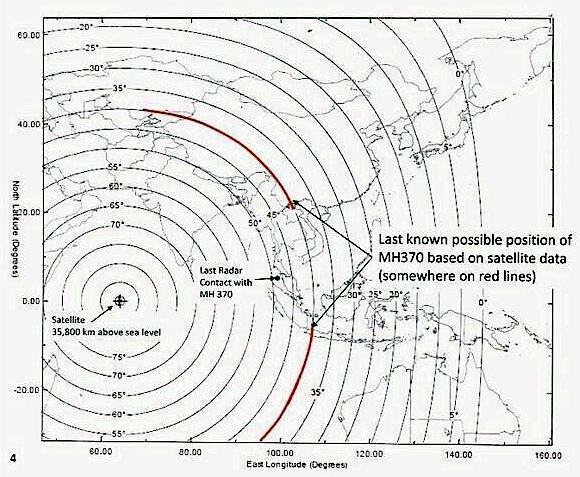 So we'd hazard a guess that if and when MH370 is found, it'll be on the northern arc rather than the southern one. Londoner wrote: I have just put the following on UK Business forums. The link is at the end. Not true though and if you know anything about Software and hardware you would not say that . Media have been emphasizing this issue too much which is laughable and it is absolutely false . Even if you do not have access to the software being used on the plane the hardware can easily be debugged remotely and a direct communication can be established thus by passing all the fancy software restrictions .At that point the plane will do whatever you wanted to do .They are pushing the public off the track by emphasizing that it can only be done with human intervention on the plane . I talked to a Pilot fiend of mine yesterday and we draw some conclusions out of these "semi facts" and the Sanity Checks posts. In this case we are in a similar situation and all the possible scenarios have big holes on them because we haven located FOR SURE the wreckage of the Aircraft. He told me intul we have positive identification of parts, we might as week send somebody to Diego Island just to be sure, heck even the Kergelens, Maldives, Cocos and such. We were talking about radar coverage, and told me, something fishy is going on since its almost imposible to fathom how a place with so many radar (military and civilian) coverage lost a BIG airliner with no trace or at least partial data. Is it a ridiculous idea to fuel up an identical 777 and send it along the suspected route to verify data? If SAR could agree on a set of indisputable data and get real world data they may be able to fill in some of what is unknown. The constants should include the fuel MH370 took off with and the weight of the plane with cargo and passengers. It seems that there is good probability that the plane was out of jetA at 8:19. Variables would be aircraft speed, altitude, winds, and heading. Is it better to use paper and computers or to try to duplicate the flight in the real world? Technically you could do this, but to "replicate" the flight as they think it happened, you'd have to be willing to lose a 777 to the ocean. I can't think of anyone who'd be willing to splash another one just to test numbers. Computers and known performance stats on the aircraft are more than sufficient for the job. Sure unless you want to wreck another million dollar airplane. And what are the "trial" 777 going to do after 8:19 when it runs out of fuel? Ditch in the ocean? If you answer "it will have a fuel reserve to Perth", then it wouldn't be "identical" (as you write) to MH370, it will be much heavier. No it wouldn't. No passengers, no baggage, no cargo -- fuel up to original weight (this will give you extra to get back to land), add ballast as necessary and you could do a pretty good job of duplicating it. But I don't think you'll be any better off than running the numbers on the computer. Of course you would need more fuel than was on flight MH370. The 777 range is 19 hours/9,395 nautical miles. Mh370 left KUL with about 35% of its fuel capacity. Simply put more fuel in the plane than the 49.1 metric tonnes MH370 had. And without passengers and cargo, additional fuel would be even less of a problem. You be sure they will do something of this sort. The video was shot while searching for the mh370 flight of Malaysian Airlines which went missing on March 8, 2014. The officials have now concluded that the plane had crashed into Indian Ocean. Chinese aircraft are also flying over the area, north-east of the previous zone, and have spotted more objects, China's Xinhua news agency says. Chinese patrol ship Haixun 01, and a navy vessel, Jinggangshan, which carries two helicopters, reached the new search area in the past few hours. Xinhua said the Jinggangshan was expected to focus on searching for debris, oil slicks and life jackets. Eight aircraft are also taking part in the operation, the Australian Maritime Safety Authority (Amsa) Amsa said in its latest statement. Later on Saturday one of them, a Chinese reconnaissance aircraft, spotted three orange, white and red objects floating in the ocean. Some were very small, and officials have cautioned that they may be sea junk. On Friday five search planes spotted multiple objects of various colours in the same area - about 1,100km (700 miles) north-east of the previous search zone. Investigators will not know whether the objects are connected to the missing plane until they have been recovered by ships. Bad weather has hampered the search efforts in recent days. Saturday's conditions are expected to be favourable initially but to deteriorate later in the day. Meanwhile Malaysia's acting Transport Minister Hishammuddin Hussein says he has reassured the families of the missing passengers that the search for any survivors will continue. Some relatives of the flight's 153 Chinese passengers have refused to accept the Malaysian account of events and have accused officials of withholding information.